To many people in the West, the notion of hawkers, roadside stalls, and kopi tiams (coffee shops) is as blurry as a smoked mirror; the concept is vague and hard-to-grasp (no, they are not like a food cart selling cotton candy, nor are they a McDonalds or Starbucks). 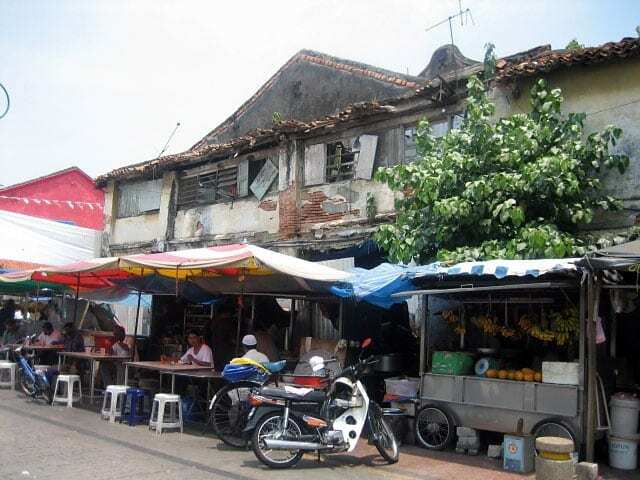 Therefore I would like to take you on a journey through the narrow streets of Georgetown, Penang and introduce you to the hawkers that have shaped the Penang culinary scene. 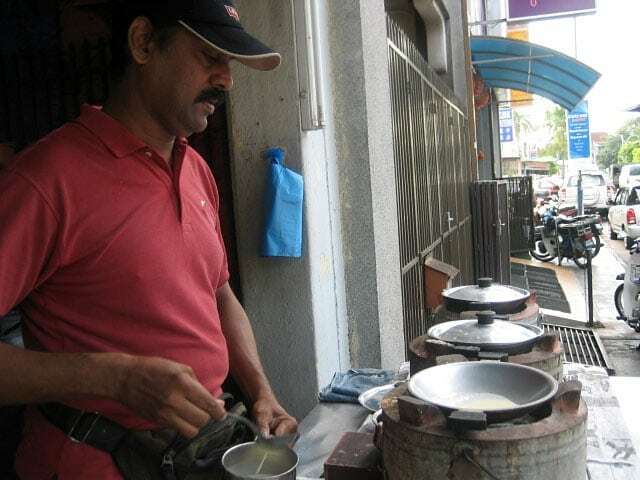 They are essential to Penang traditions and our everyday lives; without them this island state would be a hollow shell. With this post I give my highest tribute to these masters; whose dedications and hard work I so admire and praise, and whose creations and concoctions I so relish and savor. They are the true unsung gourmet chefs and 4-star restaurateurs of Penang. So let the homage begin. Taking a break during downtime. 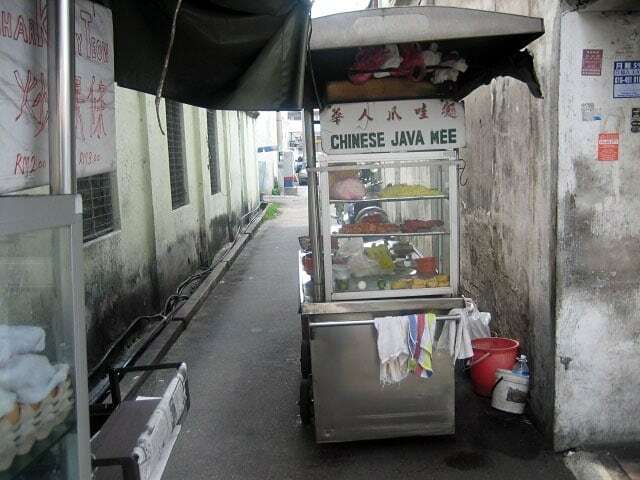 A Chinese Java Mee stall in a narrow alley. Making mouthwatering Apong Manis is no easy task. 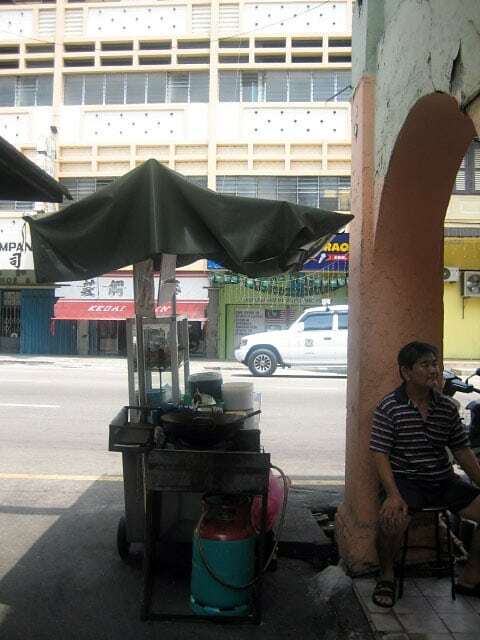 Cendol Stall in Penang Road, Georgetown. 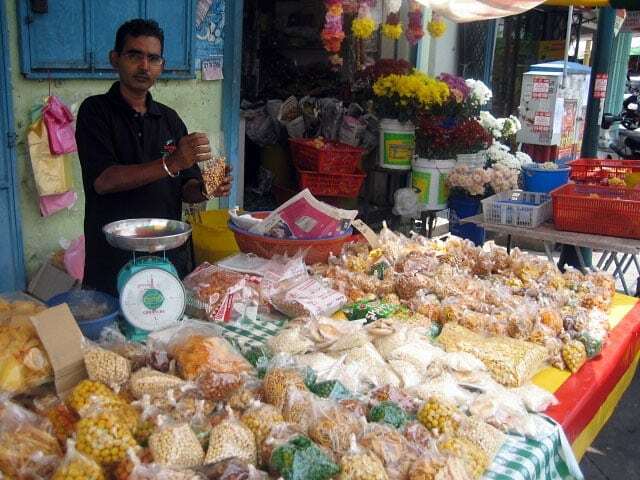 Kacang Putih (peanuts and snacks) hawker in Little India, Georgetown. 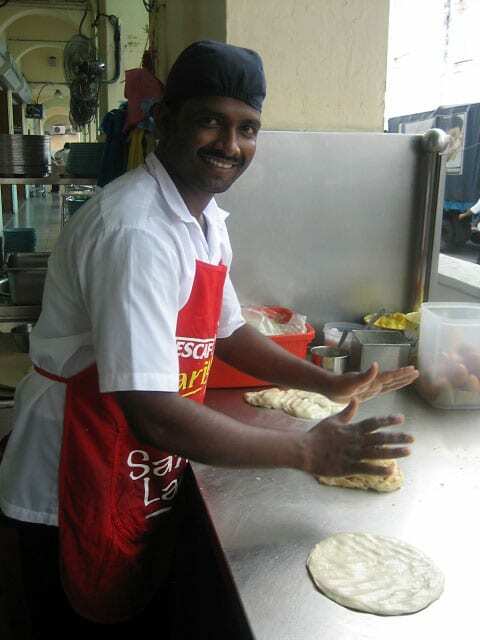 Flipping roti canai is his passion; he does it with a smile on his face. 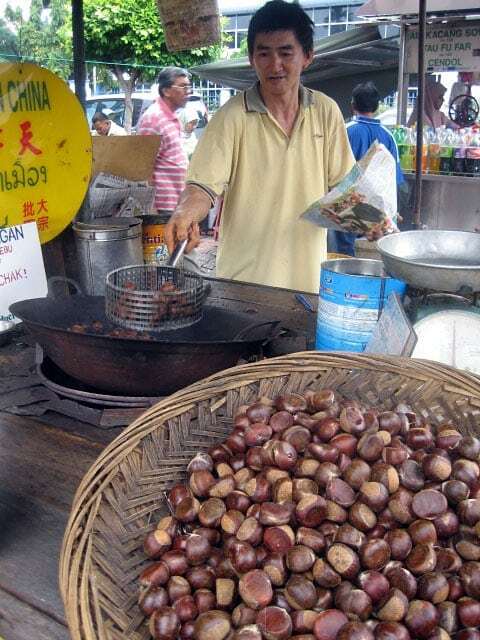 A hawker with his freshly roasted chestnuts. Stalls selling refreshments and fruits. 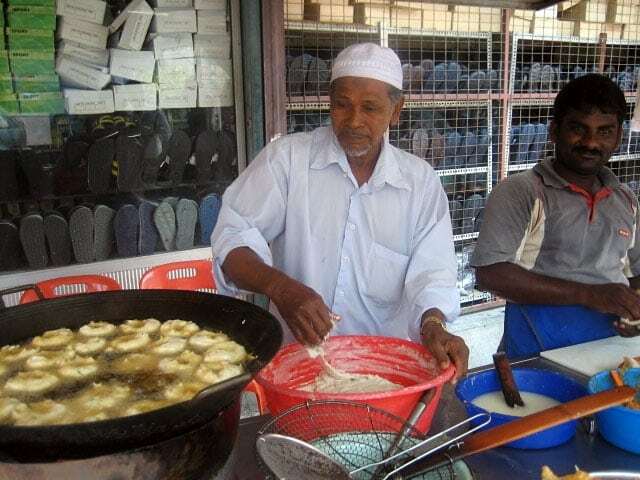 A Mamak (Indian Muslim) busy frying his food. 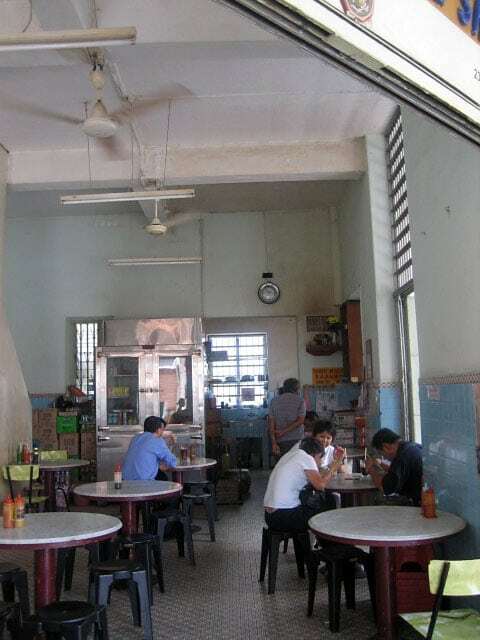 A typical Chinese kopitiam in Penang. A not so busy kopitiam with a few patrons. 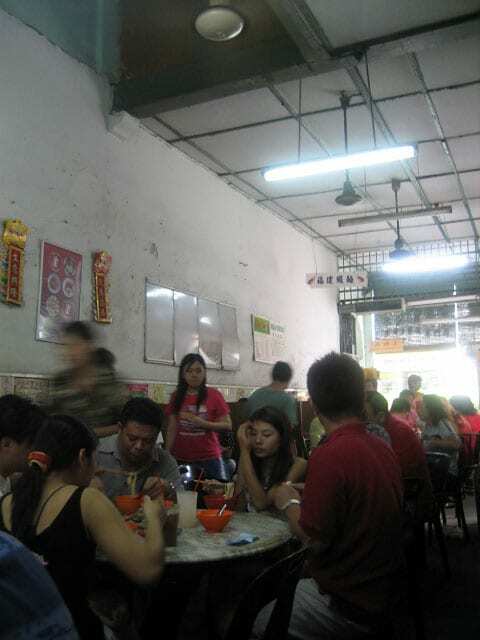 A very popular and busy kopitiam with many patrons. 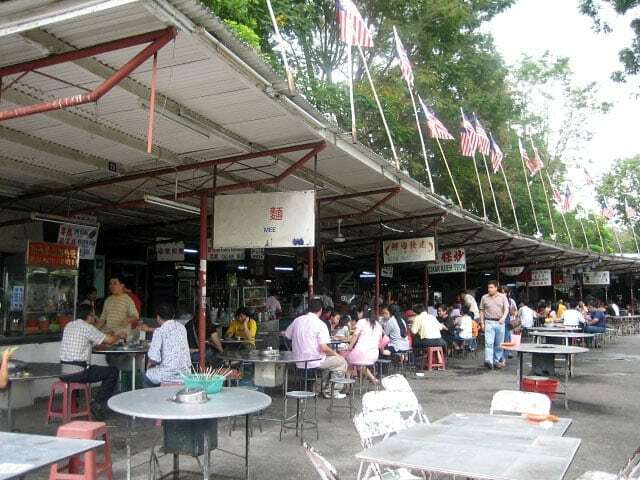 A hawker center bustling with activities. I love hawkers – most of them are quite friendly but sometimes when they are super busy, don’t bug them or else they will scold you thoroughly. 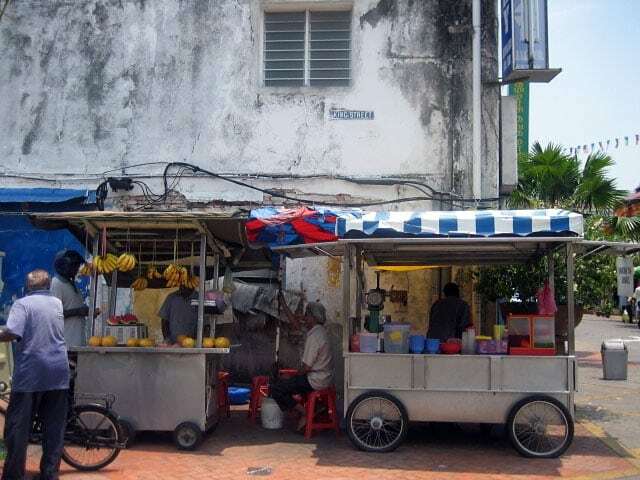 i m very tempted 2 plagiarise yr wonderful postings ( works of beauty ) into a Penang History of Hawkers’ Culinary Treasures. v share 10/90. ok lah 90 2 u ! Gulp.. I ter-lost ur email add. Err..*swaying from side to side avoiding daggers being thrown* can give again-ar? Actually found d foreverbee add & tried but cannot send thru. Err.. soli-ar. Toni Xe – Sounds like a good idea. When are you going to publish? Let me know! Tummythoz – send it to [email protected]. Welcome back to the U.S. Bee! I really have been enjoying your posts on Malaysia, and especially love this post on street vendors. You really transport me to Malaysia, and I can imagine the fragrant aromas and flavors of the food. You are a great photographer. 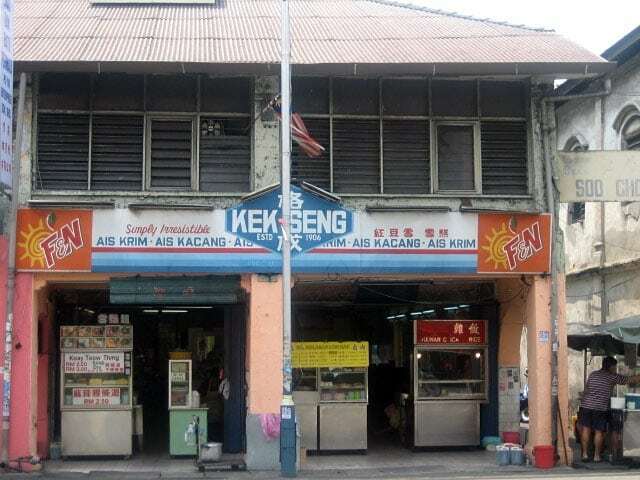 It has been ages since I had the ever famous koay teow th’ng and the ice kacang with homemade durian ice cream and jello at Kek Seng. I saw your photo before reading and thot it was the exact coffee shop. So little have changed! Hungry aledi lor! thank you for this excellent guide to eating in Penang. The food in penang is the best in the world. hey that last photo looks like padang brown?